If you missed them, see the first 9 articles in this 10-article series here. I’ll close the series by offering two small informational gifts to my patient readers. 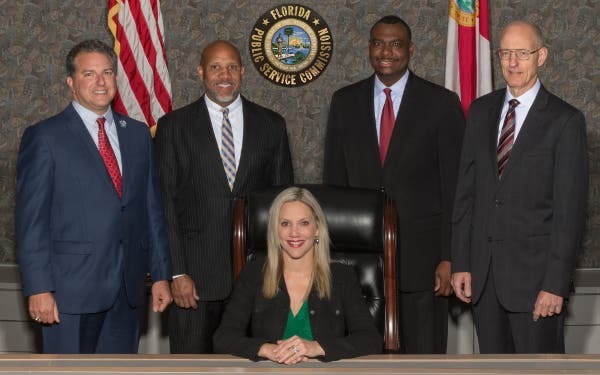 One is my thoughts on how the Florida Public Service Commission might provide the right signals to help us to make better progress in the Sunshine State. After all, the utilities are simply doing what they can to maximize their profits within the rules of being a regulated monopoly. The rules are the problem. Where Florida utilities stand relative to solar energy per customer against other utilities in the Southeast. Still, at least Florida utilities are heading in the right direction, so let’s hope the state energy leadership will help things go more strongly in the right direction. Otherwise, you’re going to get what you’ve been getting. So, have fun changing things! How Could the Florida Public Service Commission Help Guide Florida’s Energy Future? If you’ve patiently read through the preceding material over the last weeks, by now you’ve realized that Florida’s IOU utilities are behaving rationally. They’re doing everything they can within the existing regulations to maximize profits for their firm and shareholders. Not only that, they’ve managed to manipulate the governmental body appointed to regulate them. Yet, what benefits IOU shareholders are not the foremost concern of Florida’s consumers. Florida’s households don’t really care about very low electric rates. Instead, they do care about low monthly electric bills. And the current focus on rates rather than the electric bills themselves is misplaced. They also care about meaningful progress on resilience of the electricity supply to critical facilities after hurricanes. We’ve made the point that PV solar home electrical generation is uniquely useful to Florida households when paired with electrical storage. Homes installing solar under net metering should be incentivized to add electrical storage. This will harden against power outages and provide utilities with expanding opportunities to develop distributed electrical storage that is important to Florida energy future. Finally, the PSC, while well intended, should develop funding mechanisms and support research activities which will keep Florida on the leading edge of technology solutions. These include energy efficiency, electric generation, and storage that are uniquely suited for the state’s cooling dominated climate. Given the state’s long coastlines and risk to hurricanes and flooding, these future challenges should be met. In DSM measure screening evaluation, credit site related efficiency and renewable energy measures on distribution network losses (typically around 7–10%). Change measure two-year-payback-screening-prohibition to a single year. Recommend that PSC allow a 10.5% higher rate of return for utility investments in DSM related efficiency, distributed renewable energy projects and energy storage for utilities than for any other capital outlay. This would be similar to equity earnings in new generation facilities. This should include utility investments now accommodated in the Florida ECCR (Energy Conservation Cost Recovery). Require monitoring to verify savings and power production from measures installed. Consider a lost revenue adjustment mechanism similar to that successfully used in North Carolina that has altered the efficiency programs being offered by Duke Energy there. Establish a modest Public Benefits Fund (PBF) – perhaps 0.001/kWh– within utility charges so that storm resiliency and equity issues can be addressed and Florida-specific research promoted. Allocate a portion of the funds specifically to helping low-income customers and renters to install efficiency measures and participate in “sponsored” solar generation. Within Public Benefits Fund require utilities to provide solar along with electrical storage for storm-related resiliency for the following facilities: medical clinics, nursing homes, hurricane shelters and community centers. Within Public Benefits Fund, provide pass-through audits for all Florida utility customers, (investor owned or municipal utilities) along with proven savings measures with costs shared with homeowners: LED lighting, smart thermostats and hot water tank wraps. Direct Florida utilities to develop incentive plans with the public benefits fund or the ECCR provisions to encourage home electrical storage or an auxiliary power supply with systems that install solar PV systems that will be eligible for net metering. This will help to make Florida housing more resilient in wake of hurricanes while providing a potential means for utilities to develop plans for distributed electrical storage. Provide a financial incentive to utilities to achieve increasing saturation of such systems. Consider a financial reward mechanism for utilities that achieve significant Greenhouse Gas Emissions (GHG) reductions. Consider hiring additional analytical staff for the Florida PSC to aid in the very complex assessments the organization must evaluate. Right now, the utilities have much more analytical horsepower. For the Florida building code, change the baseline building for evaluating code compliance to one that includes a Heat Pump Water Heater (HPWH) located in an interior utility room since they significantly cut water heating and air conditioning loads in a unique fashion. Prescriptive residential code compliance should also include HPWH for new construction. Require a HERS index score be evaluated for all new construction. Also, provide both a HERS score and request for seller-voluntarily-released 12-month billing records be provided at the time of refinance or resale of existing homes. And that’s it folks. … Now info showing how you can really cut the energy use of your Florida household. Not based on hype or supposition, but from strong data within our monitoring projects. Tank wrap and changing to lower flow showerheads can save up to $40 per year. If greater than 3.5 kWh per day, purchase new more efficient unit. Savings highly variable depending on the load and how long it is shed daily. 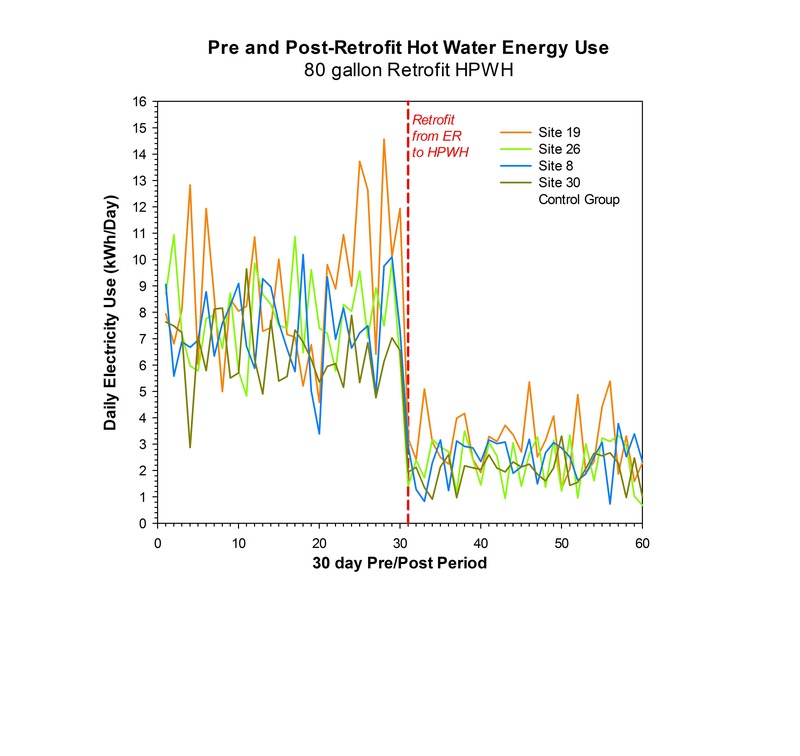 Measured daily electricity savings of hot water energy with a heat pump water heater (HPWH) thirty days before and after retrofit. In addition to the shallow measures above, if you are really serious about reducing your monthly energy consumption, you can install these measures that were tested below. Taken together, we found them to reduce total annual electricity consumption by 38% for an average of 7,070 kWh worth about $780/year. Option vs. replacing existing heat pump. 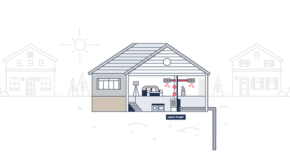 Reduces consumption by about 40% for heating and cooling or 2,400 kWh/yr ($260). No ducts and allows zoning; produces redundant heating and cooling system. If system installed is 110 volts, can be easily operated off a generator as they typically draw less than 500 watts. Great for post-hurricane household resiliency. Saves 68% of water heating energy or 1,400 kWh/yr ($155/yr). Saves 35% of clothes dryer energy (250 kWh/yr) or $30/yr. Saves ~ 470 kWh/yr depending on consumption of existing unit: $50/yr. Insulate attic to R38 from R11 or R19. Reduces heating and cooling by ~10% or 600 kWh/yr ($65/yr). If re-roofing, choose a lighter colored roof: 7% reduction for white shingles; 20% reduction for white metal or white tile (up to 1,200 kWh/yr ($130/yr). Replace when dishwasher worn out; saves 100 kWh/yr ($11). Pool pump is second largest electricity end use in Florida homes that have them: 3,600—4,500 kWh per year. If you have a pool, save 65%-85% of pool pumping electricity. Savings 2,500 kWh or $275 per year. Replacing your existing single-speed or two-speed pool pump with a fully variable speed pump will typically save over 2,500 kWh per yr ($300/yr) and is one of the most cost-effective retrofits which was evaluated in the PDR project. 4-5 inches of cellulose insulation in the attic (about R-15) is not adequate in Florida. If your ceiling insulation is deficient, increase it to at least R-38 if that that will fit. Otherwise, consider installing a white reflective roof a the time that you re-roof your home. 1 Note that the substitute shower heads are not of the annoying flow restriction type, but a variety of fixtures chosen based on high ratings in Consumer Reports from which homeowners could choose. 2 Note that measures that affect pool pumping energy have very large impact since measured pool pump energy averages nearly 4,000 kWh per year and fully a third of Florida homes have swimming pools. Tags: air source heat pumps, ecobee, Energy Star, Florida, Florida energy efficiency, Florida solar energy, heat pump clothes dryers, Heat pump water heaters, heat pumps, insulation, Kill-a-Watt, Mini-split heat pumps, NEST, refrigerators, SACE, smart thermostats, What About Florida?